Another year has passed. Another year of milestones and challenges, laughter and tears. Another year of bringing international fans closer to Park Shin Hye. The almanac for Shin Hye and PSHIFC's yearbook was completed. 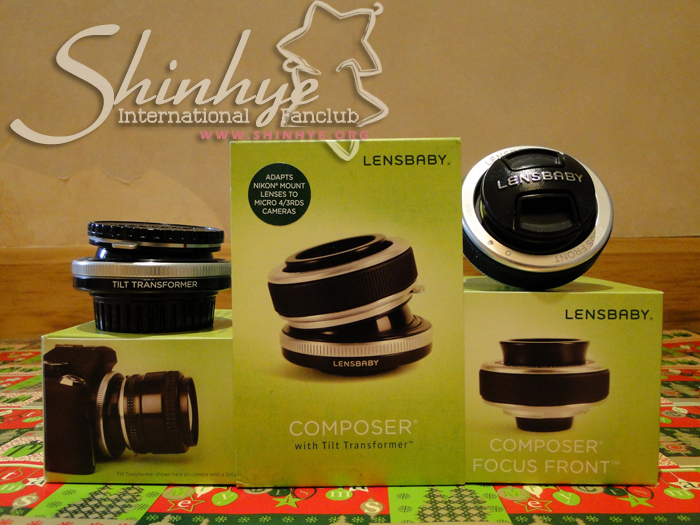 These were both given to Shin Hye on her 22nd birthday along with many gifts. 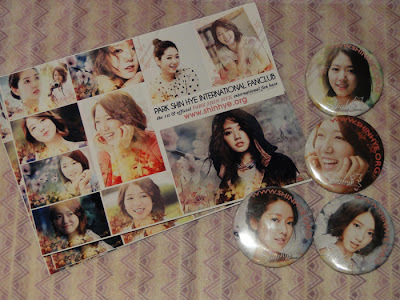 Park Shin Hye International Fanclub opens shinhye.org, our new site, with a poster giveaway to our members. 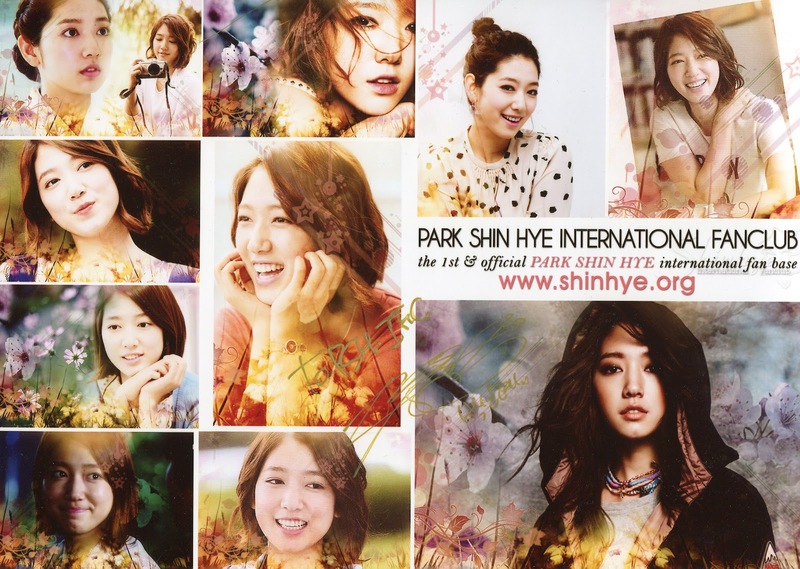 Our new site was launched with Shin Hye's birthday! With the money we've raised, PSHIFC bought numerous gifts for Shin Hye's 22nd birthday. Of the many gifts we gave her, Shin Hye has worn our "Star" necklace from Tiffany and Co for various occasions including to the script reading of "Heartstrings." 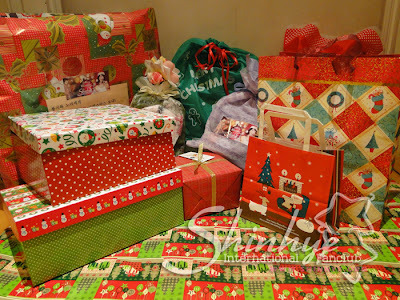 As a member project, we've received MANY folded stars to sprinkle her present box. The East Japan Earthquake devastated the lives of many people in Japan. To show our support, PSHIFC along with ANJELLhaven launched a donation drive where we raised over 2000USD for the cause. We were so touched by everyone's generosity. Thank you. PSHIFC was also invited by various organizations to work hand-in-hand with them during the Salvatore Ferregamo fashion event in Singapore which Shin Hye was in attendance. 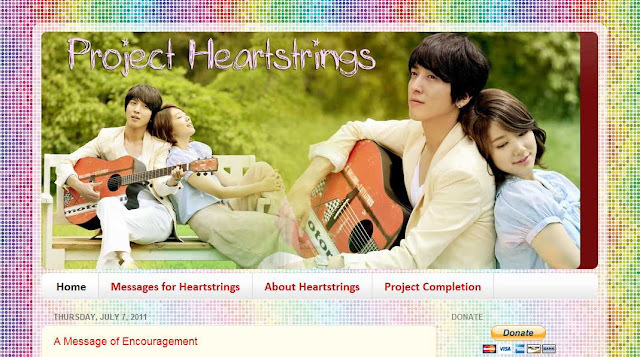 As Heartstrings was announced, we launched our Heartstrings project which consists of prayer flags and gifts. 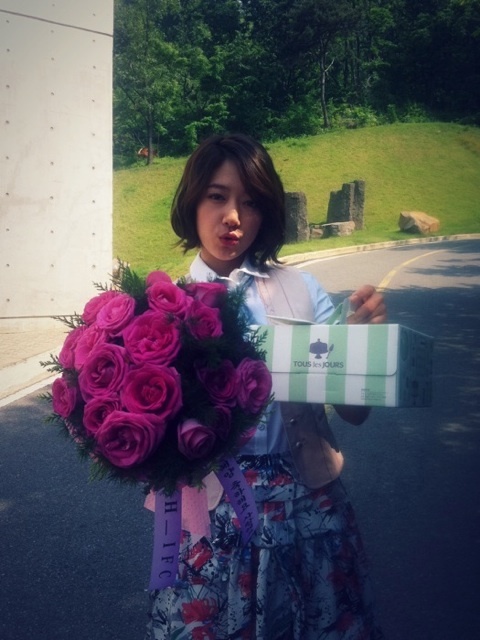 Shin Hye was nominated as Popular Actress in Movies in the 2011 Paeksang award. She won and PSHIFC sent her some flowers and cake. Also during the script reading of Heartstrings, Shin Hye was seen wearing the "Star" necklace we gave her for her 22nd birthday. 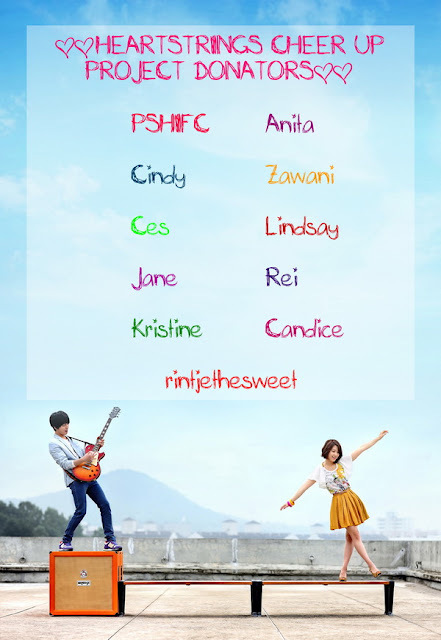 Due to the low rating of Heartstrings, PSHIFC wanted to cheer up the cast and crew. We launched the "Heartstrings" Cheerup project where we collected over 300 messages from many different countries in the world. These messages were made into a book which were given to them later when PSHIFC visited the set. For a week, PSHIFC admins were in Seoul. They were able to visit Shin Hye on the set twice. Once in Ansan and the other in Incheon. PSHIFC brought with them candy for all the cast and crew and presents for Shin Hye. The two days we saw her, we brought her a new bouquet of flowers. To start things out early since we wanted to be on time this time, we launch Christmas and Charity project. The charity project will benefit Save the Children Foundation, helping children throughout the world. 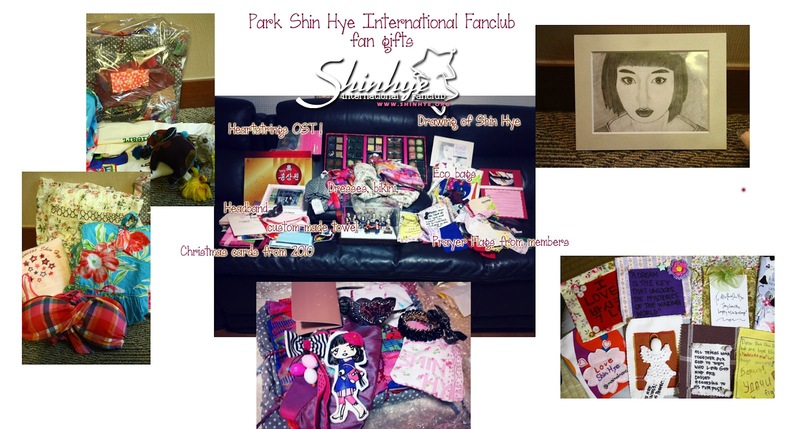 Shin Hye also took a photo of fan gifts which included the gifts we gave her during our visit to Seoul. Seeing her popularity grown in Japan, Shin Hye came for the weekend. This was a private business trip which we later learned the purpose. She was here to sign on with IMX, a Japanese agency. They will now hold all her activities in Japan. PSHIFC was there to welcome her at Narita airport. 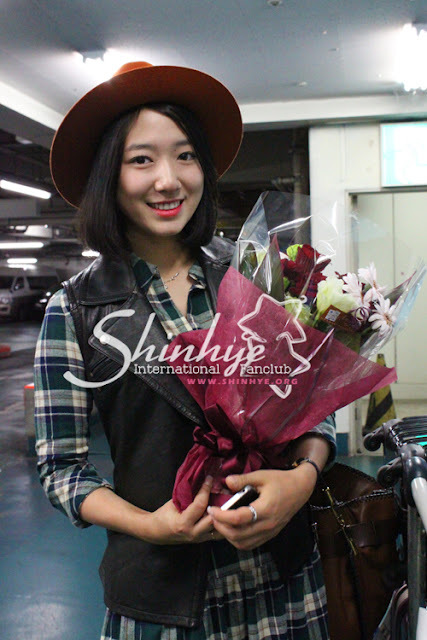 Shin Hye came to Japan again as a guest of Jang Keun Suk's concert in Tokyo Dome. PSHIFC was there to greet her, attend the concert, and send her off. 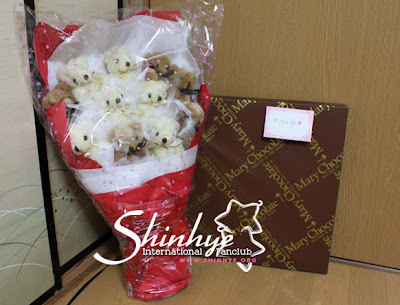 We got her a teddy bear bouquet on her arriving at Haneda! To end the year off, we launched the 23rd Birthday project for all the members and continue with Save the Children Foundation. 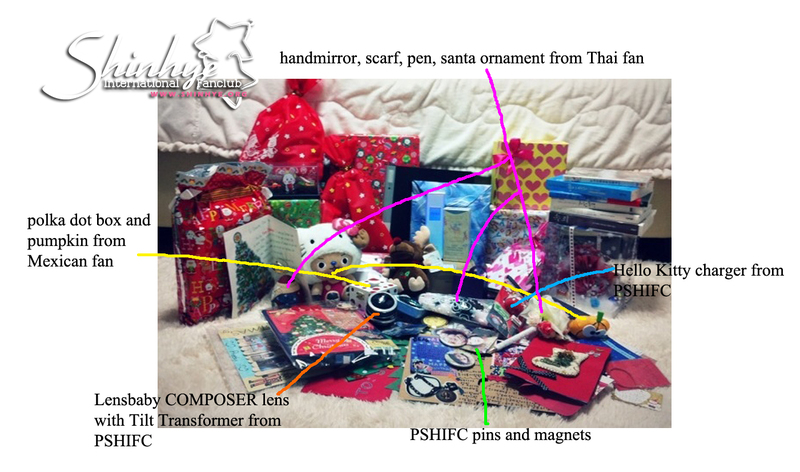 PSHIFC and member presents were sent to Shin Hye on time for Christmas. She tweeted a photo of some of the gifts she received. Among them were many from PSHIFC and members. As a thank you token, for everyone who donated, they will received or had received a sticker sheet and a pin. Of this donation drive, we had two winners who won additional prizes as from the sticker and pin. Thank you again to everyone has has helped! Looking back this was an exceptional year! We thank all our members for your continual support in us and believing in us through all our hard times and always there with us through all our good times. We hope that everyone had a wonderful Christmas and we hope that this year will bring everyone new friendships, love, happiness. 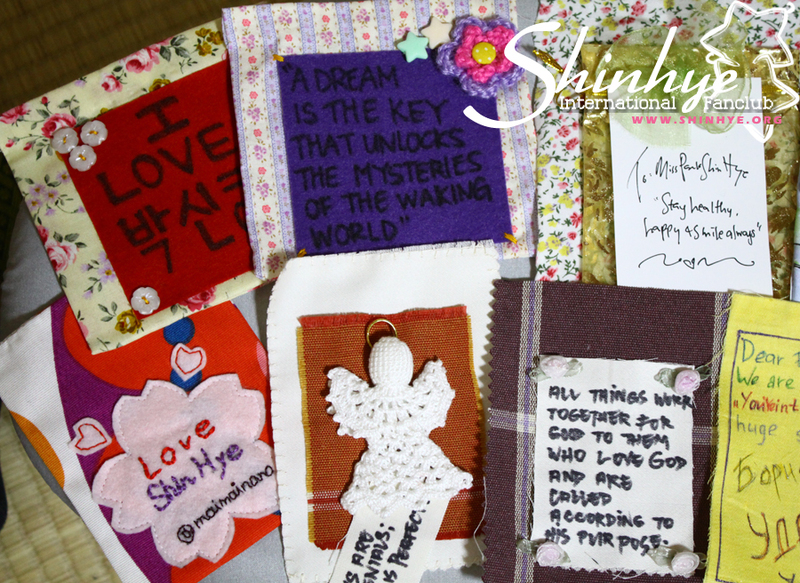 Let us continue to grow and love Shin Hye and each other. Wishing you a joyful Happy New Year!